17.04.2016. Vitality Stadium, Bournemouth, England. Barclays Premier League. Bournemouth versus Liverpool. 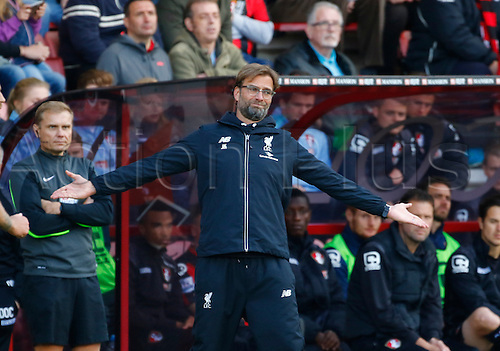 Liverpool manager Jurgen Klopp watches on as his side play out a comfortable away win.